What do you need to do to homeschool toddlers? I don’t think there’s any one formula to homeschool a toddler. 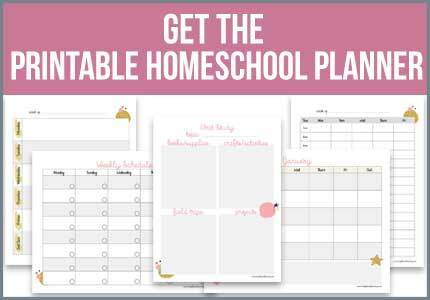 Each family will have their own priorities and values which is what makes homeschooling awesome. As toddlers the world around them is such a huge place of discovery. This is such a great age because they go from walking all wobbly to running like the wind. Their vocabulary also shoots up and they come up with the most amazing phrases to keep your days filled with endless joy. 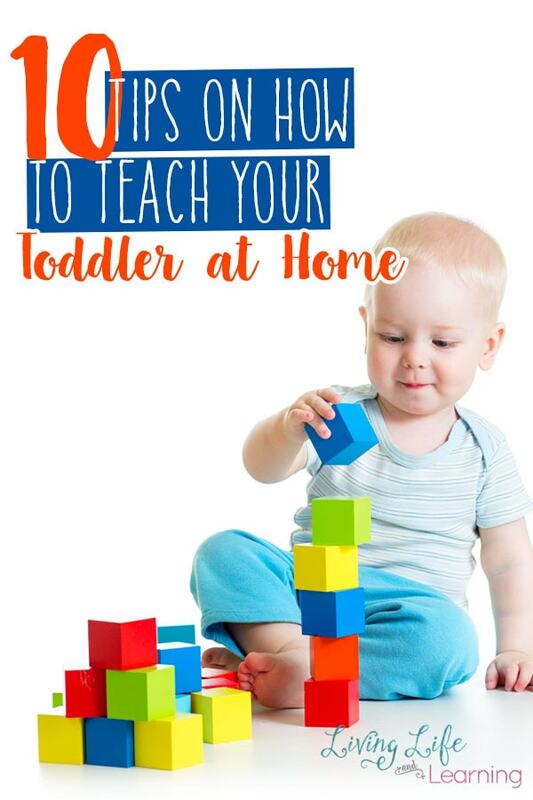 Teach your toddler at home with these tips. You’re toddler is ready to be on the go, there’s no slowing him down except for a fall. Take the time to clear a path for your little one so that they are not tripping over their older siblings toys. Our home is not spotless, but I do ask my boys to keep a clear path for their little sister to navigate. Also ensure that any dangerous chemicals or objects that may pose as a choking hazard are put away. My boys received some marbles last Christmas, but unfortunately that is just something that we cannot have around the house at this time. Give your child the chance to experience new things. We already know that she loves her favorite toy but how about trying something new, or using it in a new way. You never know what they will find interesting. Keep your large boxes and build a great castle, take a walk along a different path, visit a new store that you don’t usually visit, or visit another park. Make new memories. Describe everything as they eat, use the washroom, or play. Talk to them about everything, as you are folding the laundry, putting the dishes away, cleaning the floors, you may think it is the most boring topic for conversation but you are giving them new vocabulary as you describe what you are doing. You are adding words to their library which they will hopefully turn around and start to use as well. Read, read and read some more, read about everything and anything, get your child to love books. Give the chance to make their own decisions, it can be so easy to make every single decision for them but that isn’t teaching them how to make the decisions themselves. Give them a choice between two shirts or two pants as they get dressed. Ask them which snack they would like to have the blueberries or strawberries? Or which game they would like to play. Don’t tell them what they need to do but see what it is they are really after, do they want to continue to read that book that you’ve read 20 times already? Will then go ahead and read. What toys do they gravitate to? Who do they want to play with or maybe they just want to play alone. Don’t force them into situations that they are not comfortable in just yet. Give them time to adapt and follow their lead. I’m sure your little one is always asking to help but sometimes we are so busy or in rush that we forget that this opportunity can be used to teach them as well. If they want to help sweep up then they would probably have fun with a child sized broom. Give them their own set of clothes to fold, let them put the spoons away as you are putting away the dishes, or let them mix while you are peeling vegetables. They love helping because they feel like they are big girls or boys and mainly because they want to do whatever it is that mommy or daddy is doing, they love spending time with you. 7. How is their nutrition? A child hopped up on sugar isn’t going to learn as well as a child who eating healthy and balanced meals. How do you keep them away from the junk food? Don’t even bring it into the house. That’s the best way that has worked for our whole family. I have a large sweet tooth so we try not to buy many process foods. If I’m craving something sweet, we bake so that I can control the amount of sugar. And it’s fun for everyone as they help prepare and then eat their hard work. You don’t need all of the latest gadgets to ensure that your child is learning. Your child only needs you. You will find that your toddler has fun with toilet paper rolls and boxes. Our favorite family toys have been those where the children need to use their imagination. They love playing with blocks and pretend food and pots and pans. The flashy toys lose their appeal fast and we don’t waste money on batteries for those as well. Your child will learn best if your attention is on them and not somewhere else. You cannot be in 3 different places and give them your best mommy/daddy moments. Put those phones or tablets away and get on the floor with your child. They will completely appreciate all of your attention and you will find as much joy in it as well as you watch them grow. The time will pass so quickly that you will only wish that you were able to do it again. You don’t need flash cards or curriculum or Einstein videos to teach your toddler. Your toddler will learn and experience new things and grow as long as you give them your love, attention and an environment that lets them explore. This also means limiting screen time. There’s no need for a toddler to spend more than 30 minutes watching TV. It can be a great babysitter at times but I prefer to teach my toddlers to play on their own rather than rely on outside entertainment. 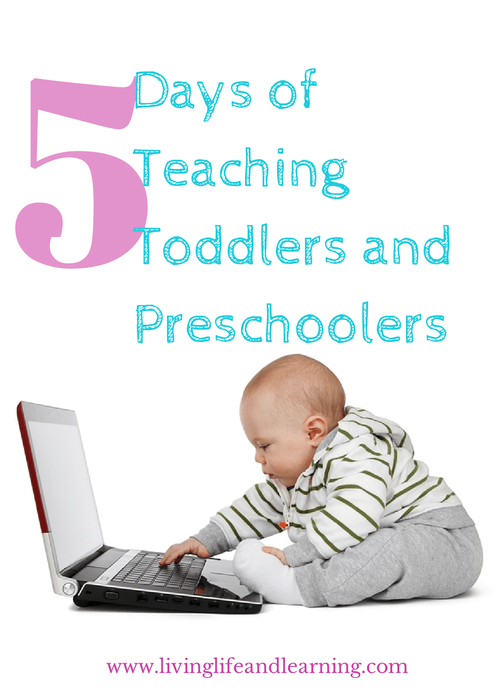 This is the first post in my series: 5 Days of Teaching Toddlers and Preschoolers. Another great resource for parents of toddlers is Every Parent Can Teach a Toddler, a resource created by 20+ bloggers. Visit the other members of The Schoolhouse Review Crew and see with their 5 day series is about. 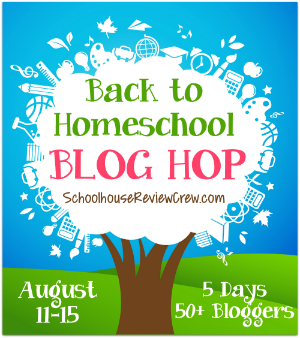 Beth @ WeavingsYou can also read what the other 50 bloggers are writing about for their 5 day series. 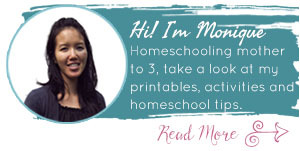 Follow Monique’s board Homeschool Toddlers on Pinterest. Great points! We are moving out of Toddler-hood this year into preschool but still relevant. I just started working again, but my baby is staying with his grandmother during the day now. I’m going to send her this link, I think they will both enjoy these activities. Wonderful, glad it was helpful.